It’s time for another trip post! This time, I went to visit friends in Boston. My friend Shaina and I spent almost all Saturday baking! First, we made a chocolate birthday cake! It was requested that I somehow merge chocolate and strawberry into a delicious cake, so I found a recipe online and tweaked it. I kept the cake recipe the same, but the middle layer was a strawberry puree. I changed that part, because I’m not a fan of fruit purees in cakes like that. I find that they rarely add anything taste-wise, although they do look pretty. What I did instead was slice strawberries and and layer them on top of some whipped topping. It came out deliciously, if I do say so myself! The frosting was especially good. 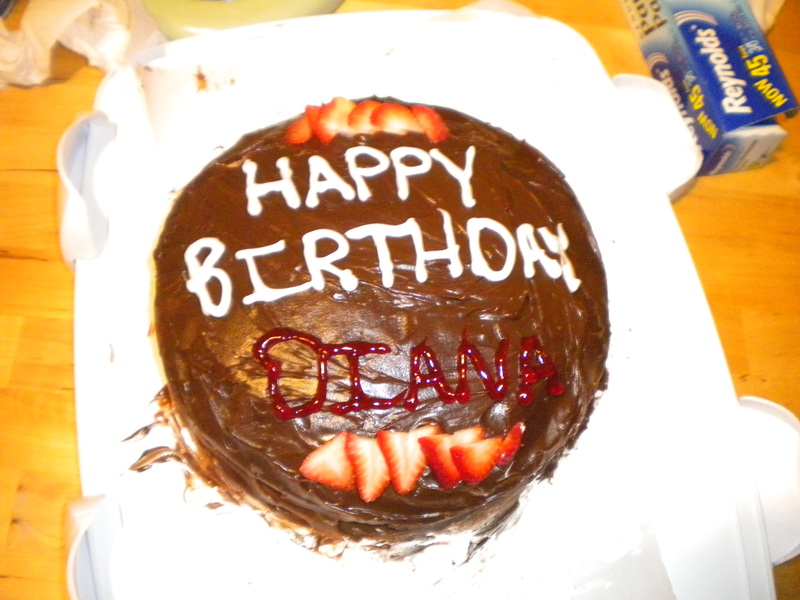 It was very ganache-like, which made frosting the cake a bit difficult, but I managed to get through. 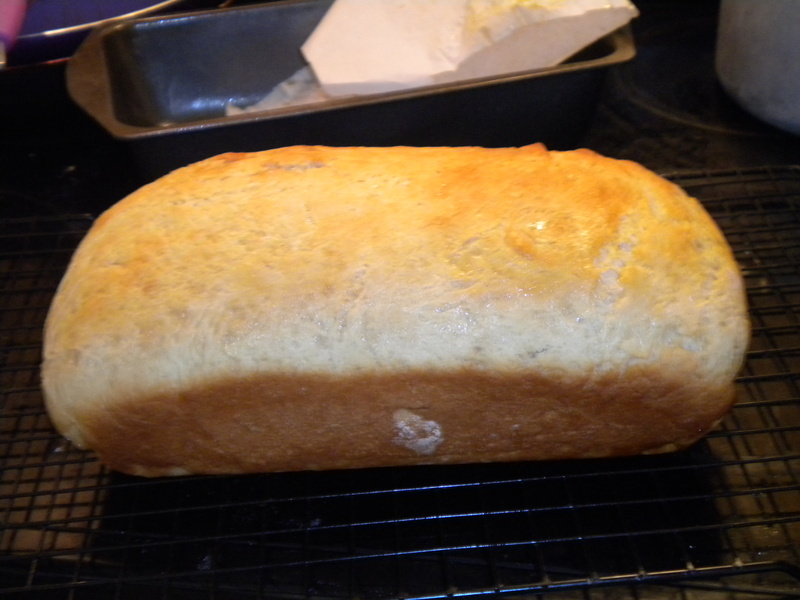 While I was doing the cake, Shaina was making bread! She has a whole cookbook full of bread recipes, and this particular kind (honey white) had a handwritten notation on the page – SO GOOD. Margin notes generally do not lie, and this one is no exception. The recipe called for bread flour, although we didn’t have any, so we used all-purpose flour instead. It still came out good, so I’m going to have to try making it with bread flour to see what the taste and texture difference is, if any. It’s perfect bread for almost anything, with a hint of sweetness from the honey making it especially good for French toast. At least, that’s my assumption! I’ll have to find out in a few days. But before we made any of this, we braved the cold to go out to the Farmers Market. Before that, we made a pit stop at Union Square Donuts. 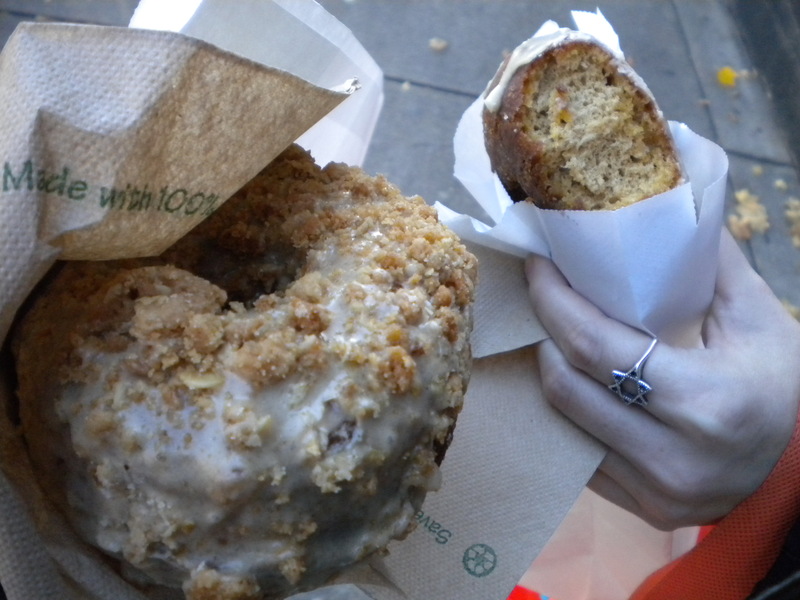 I got an apple crisp donut, and Shaina got a pumpkin! Mine was incredible, with bits of crumb topping liberally dotting an apple cider donut. That was all we made on Saturday, but there was one more baking adventure on Sunday! 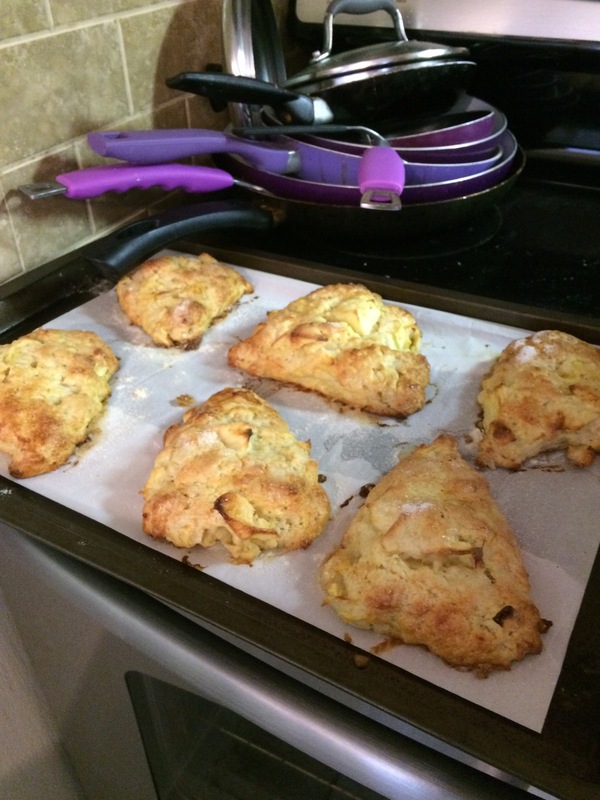 Apple cheddar scones from Smitten Kitchen is a recipe that I’ve wanted to make for a while, and since I was introduced to the recipe through Shaina, I thought it was appropriate for us to make them together! This was my first experience with a savory scone rather than a sweet one, and apple and cheddar could not be a better combination for it! I was told that they taste better after they’re cooled and the flavors have had time to develop, but I couldn’t wait. I’m going to have to make these again with the apples that I picked last month (which I still have a lot of). Now, I need to decide what I’m going to bake for Thanksgiving! Any ideas?